For as long as he can remember, Percy Walker has been working to better himself. Raised by his grandmother in New Jersey, he was the first male in his family to graduate from high school. 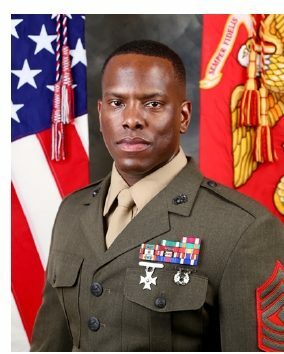 With no money for college, he decided that joining the Marines was his path to success. That was 18 years ago, and much has changed in Walker’s life. Now a sergeant major, he has served across the country and around the world, including two deployments in Iraq and another in Afghanistan. He is married and has four children, ages 15, 5, 3 and 1. He earned an online bachelor’s degree in psychology in 2014 from Purdue University Global, but he had always longed to learn more about computers and information systems. His search for an online master’s program led him to Colorado State University online. His program in computer information systems required being part of several group projects. He was stationed in San Diego, so online meetings with fellow students were via Skype. That’s how he got to know Hillary Noble, who was pursuing the same degree while working in web development and design for CSU’s College of Veterinary Medicine and Biomedical Sciences. Between parenting, work and online classes, the challenges were substantial. Walker’s wife, Jamie, is a flight attendant, so he was often on his own with the children, and his chosen degree field was more of a passion than something he had spent years studying. 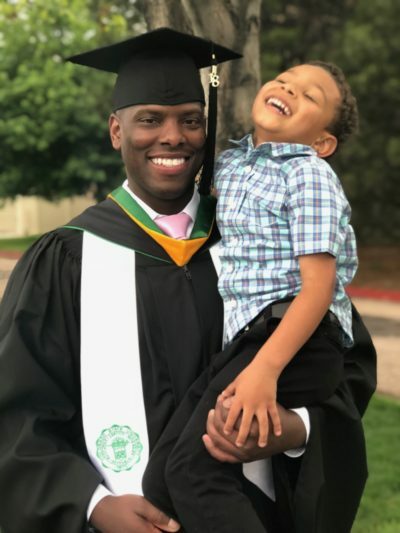 Walker, 37, said CSU’s Adult Learner and Veteran Services office provided invaluable help in navigating the process – “Without them I would have been lost,” he said – and professors were very accommodating of his schedule. At one point, during the middle of a semester, the Marines chose him for an anti-terrorism course, and his already full plate overflowed. He credited professor Charles Butler, who has been on CSU’s business faculty for 35 years, with helping him stay the course. A big moment for Walker came in February 2017 when he had a free day between military assignments to visit campus and attend classes. It was the first time he had sat in a physical classroom since high school. And when he graduated the following May, he brought his wife and family to Fort Collins. Noble, the friend he had never met but knew so well, threw him a graduation party. “The way Hillary, her family and friends adopted me was truly amazing,” Walker said. “They were as proud of me as my own family. I’ll never forget that.